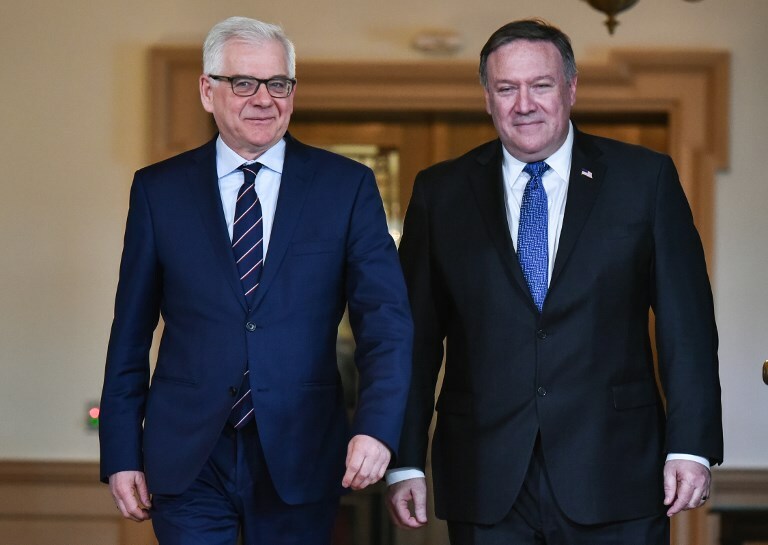 The governments of Poland and the US will host a conference in Warsaw to address issues related to the Middle East on Wednesday and Thursday. The hosts expect representatives from at least 70 countries to attend, according to the website Polandin.com. It will be a massive gathering and perhaps an opportunity for some serious breakthroughs in the struggle to bring peace to the region. Most European nations, Middle Eastern Arab countries, Israel and others will be in attendance. When the conference was first confirmed in early January, much of the news indicated that it would primarily address issues pertaining to Iran. As a result, the Iranian government condemned the conference and lambasted the participants, but it seems now that the conference will have much broader scope. Polish Foreign Minister Jacek Czaputowicz said that it will address, “among other topics, the fight against terrorism, help to the refugees and energy security.” In January, US Secretary of State Mike Pompeo said that the agenda “includes an important element of making sure that Iran is not a destabilizing influence.” The US delegation has also been clear that it intends to discuss peace between Israel and the Palestinian Authority and neighboring Arab countries. Amidst the planning for this conference, one thing that has not been clarified is exactly who was invited and who is attending. Iran was not invited, and it is believed that the new government in Lebanon was not invited because of its friendliness with Tehran and the sensitivity of the subjects to be discussed. Russia has decided not to attend. It is unclear if representatives from any Kurdish movements will be there, and there has been no news about Syrian government attendance. It is clear, however, that non-state terrorist actors were not invited. Hezbollah, Hamas, the Muslim Brotherhood, Daesh and others will not be there. For too long, non-state actors have prevented peace and stability in parts of the Middle East, and it can be expected that a good part of the conference will focus on ending this phenomenon. The discussions could present true opportunity for progress toward a more peaceful and prosperous region, but two days is not long enough to end divisions or solve problems. If concrete solutions come out of this conference, they will have been planned for some time previously. The real benefits of this conference will be twofold: First, Middle East countries are being included in the world’s discussions of their own futures, and, second, there is an opportunity for progress by just creating the image of countries meeting. The real benefits of this conference will be twofold: First, Middle East countries are being included in the world’s discussions of their own futures, and, second, there is an opportunity for progress by just creating the image of countries meeting. When it comes to issues central to the Middle East, the world has too often tried to solve problems without including the voices of the region itself. Famously, the UK and France — with the eventual agreement of Russia — drew national boundaries on a map of the Middle East in 1916. Three world powers determined that they could set the political future for another part of the globe. Similarly, less than a decade ago, six of the world’s most powerful countries chose to negotiate nuclear ambitions with Iran. None of these countries were in the Middle East. They did not include Israel, which Iran has vowed to annihilate. They did not include any of Iran’s immediate neighbors or the Gulf countries situated across a narrow waterway. The negotiations resulted in the Joint Comprehensive Plan of Action — a flawed agreement that gave too much leeway to Iran and left its neighbors concerned. The presence of representatives from most of the Middle East may be the most crucial element of this conference. While the Egyptian and Jordanian governments already enjoy peace with Israel and Israeli Prime Minister Benjamin Netanyahu recently visited Sultan Qaboos of Oman, this is an opportunity to provide the imagery of peace on a grander scale. Imagery is important in creating a sense of peace and cooperation among the people of the world. Picture the scene of representatives from Arab countries in discussion with Israeli delegates, smiling as they address common causes and means of mutual assistance. One can also assume that one theme of this conference will be preventing the horrors of the past. It must not be a coincidence that the meeting will be held in Warsaw, a city whose past demonstrates the horrors of hate. Warsaw is where the Nazis imprisoned more than 400,000 Jews in an area of only 3.4 square kilometers. The Warsaw Ghetto uprising, which happened 76 years ago, is the most widely remembered revolt by Jews against the Nazis during the Holocaust. Ultimately, 90,000 Jews were murdered in the Ghetto, and hundreds of thousands of others imprisoned there were ultimately killed in concentration camps. During his trip to Poland for the conference, US Vice President Mike Pence will visit Auschwitz, the most notorious Holocaust concentration camp. Last spring, Crown Prince Mohammed bin Salman told US magazine The Atlantic that the leader of Iran was worse than Adolf Hitler, the Nazi leader. A month later, Netanyahu told the Russian government that Iran was calling for another Holocaust. The setting for this ambitious conference is the best reminder of the crimes of Nazism, which was the archetypal evil of the 20th century. There is no better spot to remind world leaders that peace and security are worth pursuing, both with each other and with the world.